During one of our “Girl’s Day Out” the topic of “Going through your boyfriend phone” came up. This is always a touchy subject because some of us is for going through the phone and the others aren’t so keen on snooping. So, Jess said the other night she and Ralph were sitting on the sofa. He got up to go in the bathroom and she did the ultimate betrayal to their relationship. She opened his phone, after watching him put in his passcode several times. She said the found text messages from some friends and a couple of females. One particular female was asking about getting together. She wasn’t sure if half of the conversation was deleted but she said it did not make sense. It was like she was asking questions and he wouldn’t respond with an appropriate answer. She said the female was an ex of his. She said the conversation went something like this when she confronted him about it. “Have you been talking to your ex-girlfriend?” “How do you know that?” he asked. She started blushing like crazy and tried to make something up, but she said the damage had been done. He looked at her in shock and said, “Jess, did you go through my phone?” He was so mad, but what really got her was that he was super hurt and disappointed. He explained that he thought he could trust her enough to leave her alone in a room with his phone and he thought that Jess trusted him enough not to go behind his back and check up on him. Boy was he wrong! I told Jess that the trust was gone at that point. He will never trust you with being around his phone and you will always believe he is texting someone for the wrong reasons. She replied with, “You are right, but I would snoop again only if I feel something is off. Otherwise, I do understand boundaries.” So the next fella will have to stay on the straight and narrow. 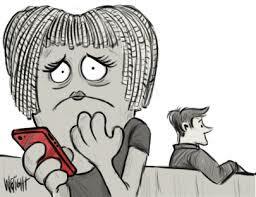 I believe phones are starting to destroy our relationships. Everyone wants to be in each other’s phones. Therefore, the conservation leaves me with a bunch of questions. How do you get passed something like this? Is it that hard to be open with your mate about your phone? 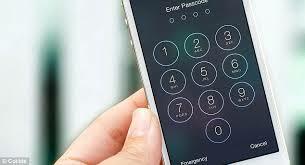 Should you have a passcode on your phone? Should you partner have your passcode? Let me hear from you. Have you been through something like this? What did you do?